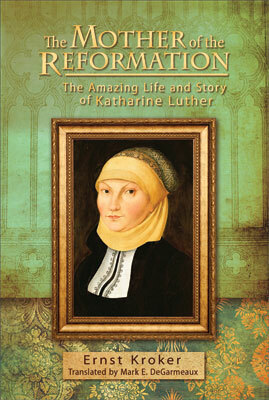 In honor of Katie Luther’s birthday on January 29th, we’ve posted below an excerpt from The Mother of the Reformation: The Amazing Life and Story of Katharine Luther, written by Ernst Kroker and translated by Mark DeGarmeaux. From the day that she gave up the veil and the carefree life of a nun and boldly faced an uncertain future with renewed confidence, up to the last difficult weeks on her sickbed at Torgau when she fervently prayed for death to hurry its slow progress, we have many witnesses about Katie’s piety and her strong faith. Her husband called her strong in faith when she stayed by his side among the sick and dying during the plague in the autumn of 1527, while the professors and the students fled the contaminated city in droves. And when he had been close to death himself that same summer, he did not need to comfort her by referring to God as the Father of the orphan and Defender of the widow; she comforted him instead, resigned to the will of God. She was by no means carefree or easygoing. On the contrary, as her husband writes, she used to worry too much and feared what might possibly happen. But when there was real danger, she withstood it courageously. Even on her gravestone she is pictured for us as a pious Christian, holding an open prayerbook in her hands. My lord Katie greets you. She is hauling, ordering a field, pasturing and buying cattle, brewing beer, etc. In between this she also continues to read the Bible, and I promised her 50 Gulden if she would finish before Easter. She is really going at it! She is already at Deuteronomy. And fourteen days later he can report that she is still reading eagerly. She also willingly and joyfully took up its teachings with her pious mind, like the earth opening up to the warming rays of the spring sunshine after winter’s harshness! Her husband became her instructor. But at the same time he was the instructor of the whole Protestant world: Doctor Martinus, whose voice was heard far and wide, just like that of the emperor or the pope. Even if he was her dear Herr Doktor and her dear husband, still she never forgot that he was her lord. In the presence of others she didn’t usually use the familiar form [du], she used the polite form [Ihr]. And when she was afraid she was going to already lose him to death in 1527, and when she mourned for him as a widow in 1546, it was a comfort to her in her sorrow that her dear and precious husband had served the whole world, and that many pious Christian people mourned his death with her. From The Mother of the Reformation: The Amazing Life and Story of Katharine Luther, pages 116–17. English translation © 2013 Mark E. DeGarmeaux. Published by Concordia Publishing House. All rights reserved. 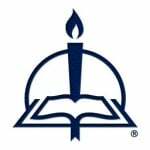 To order The Mother of the Reformation, please contact CPH at 800-325-3040 or visit www.cph.org.